French director Jean-Pierre Jeunot (Amalie) introduced this film to French audiences last month under the title -as you can see - "L'extravagant voyage du jeune et prodigieux T.S. 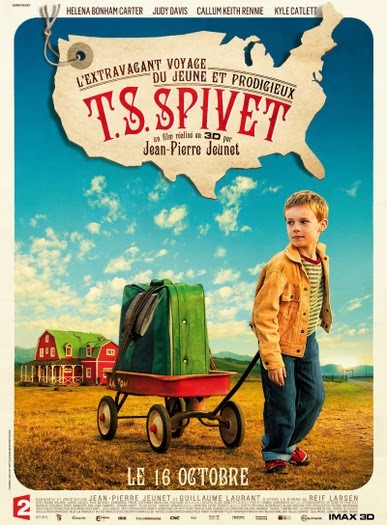 Spivet". Have any of my French friends - especially you guys here via Dreaming of France - seen it yet? Harvey Weinstein and Co (who else!?) picked up the US theatrical rights last spring but as of now there's still not a confirmed release date. Jeunot's film has that feel as well. 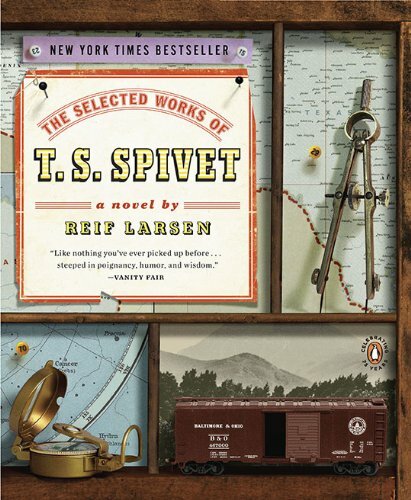 The movie, based on Reif Larsen's The Selected Works of T.S. 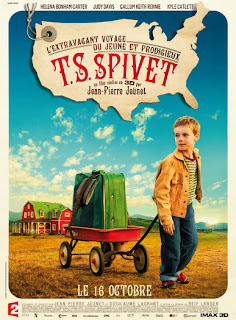 Spivet, will be known as The Young and the Prodigious T.S. 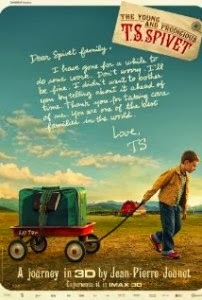 Spivet IF the film gets a release date here in the states. I'm hoping it does. The trailer (below, with French subtitles) for this movie is really intriguing; don't you just love quirky boy genius stories? The kid is played by Kyle Catlett, some kind of freaky genius himself, speaking fluent Russian and Mandarin Chinese along with English. His twin brother, Layton, is played by young Jacob Davies, a boy we book-to-movie fans will be seeing in the adaptations of Gayle Forman's If I Stay and Francis Lelord's Hector and the Search for Happiness! 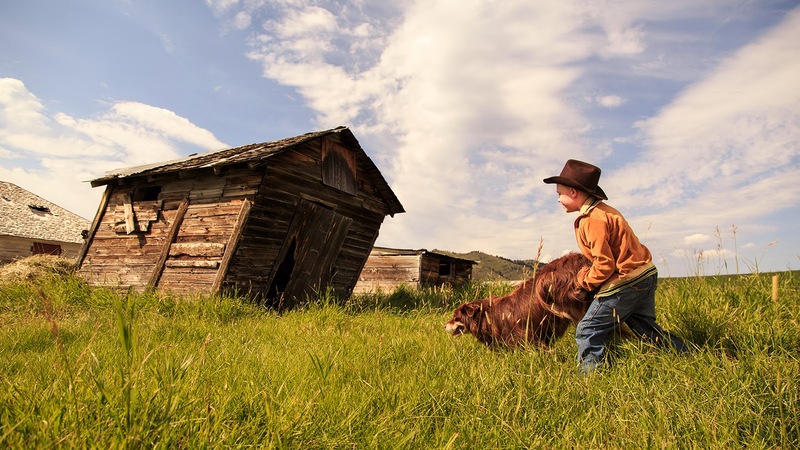 The story: A 12-year-old cartographer secretly leaves his family's ranch in Montana where he lives with his cowboy father and scientist mother and travels across the country on board a freight train to receive an award at the Smithsonian Institute. 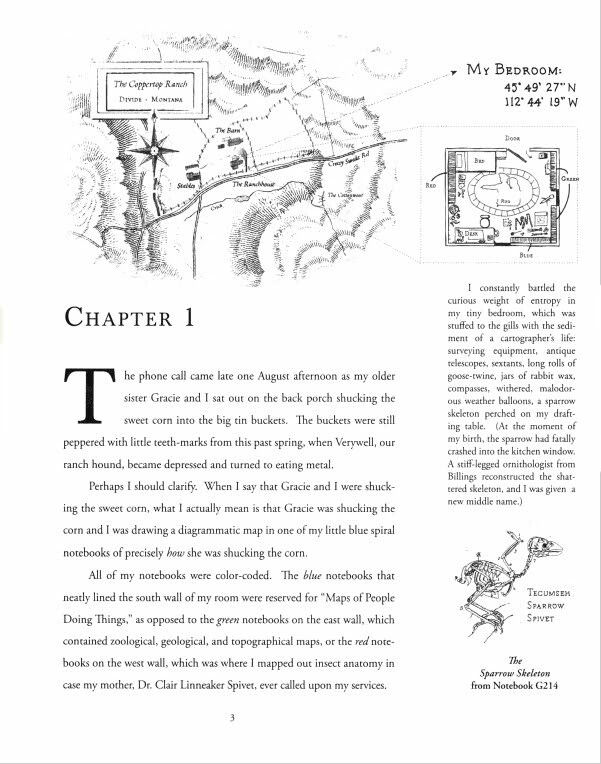 The 400 page illustrated novel is filled with deliciously detailed drawings - just the kind of stuff Wes Anderson loves to do with his films. Dreaming of France is a French-themed meme where you can satisfy your cravings for Paris and beyond.